DEEP seems a little slow getting these reports posted. Striped Bass: Fishing remains good especially from dusk to dawn. Live lining bunker on three-way rigs have been very effective. Just remember to use circle hooks to reduce “gut hooking”. Striper spots include the Watch Hill reefs, lower Thames River, the Race, Plum Gut, Pigeon Rip, Little Gull Island, outer Bartlett Reef, Black Point, Hatchett Reef, lower Connecticut River, Long Sand Shoal, Cornfield Point, Southwest Reef (outer), Six Mile Reef, the reefs off Branford, Falkner Island area, New Haven Harbor (including Sandy Point), and the Charles Island area. Also Housatonic River, buoys 18 and 20 off Stratford Point, Stratford Shoal/Middle Ground, Bridgeport Harbor, Penfield Reef, around the Norwalk Islands, and Cable and Anchor Reef. Also, don’t forget about our coastal state parks for shore fishing access. 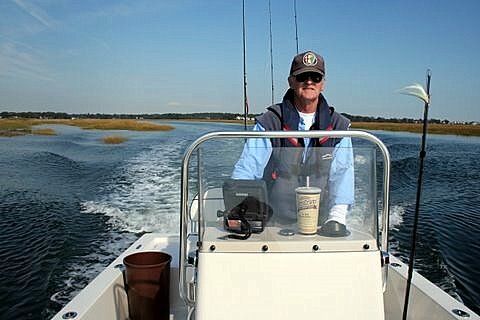 Bluefish: Fishing is good throughout LIS. The Race and Plum Gut have been consistent spots. Snapper Bluefish: Fishing is good to excellent in the tidal rivers and creeks. Snappers are about 3 to 4 inches long. Flood tide is best. Fluke: Fishing is fair to good. Fishing locations include south side of Port Jefferson, Fishers Island (Isabella Beach, Wilderness Point), off the Stonington breakwater, mouth of the Mystic River to Groton Long Point, Thames River channel, Black Point/Niantic Bay, Long Sand Shoal, Westbrook-Clinton area, Falkner Island area, New Haven Harbor to West Haven, and off the mouth off the Housatonic River. Porgy: Fishing is good to excellent on the major reefs/rock piles. Black Sea Bass: Fishing is good on the reefs/wrecks. Fishing around slack tide is best. Hickory Shad: Fishing is good to excellent in the lower Connecticut River by the DEEP Marine Headquarters fishing pier. Flood tide is best. Blue Crabbing: Remains good in the tidal creeks of Stonington to Mystic and Westbrook to Guilford. Special Note: During the summer months, anglers may accidentally hook up with a sandbar shark or a sand tiger shark. Sandbar and sand tiger sharks are protected and must be released unharmed. Simply cut the leader if you encounter one. Do not attempt to bring these sharks onboard!